13.00 to 16.00 / 20.00 to 23.00h. 13:00 to 16:00 / 20:00 to 23:30h. 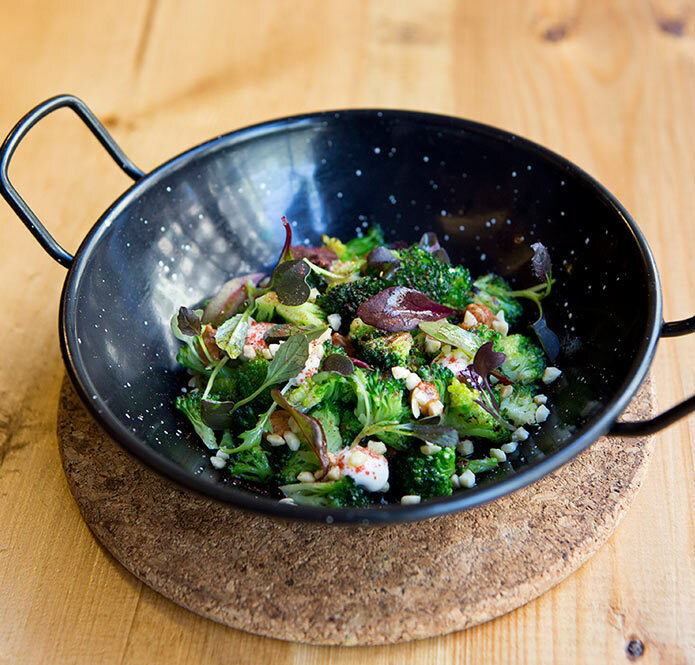 We are a casual restaurant with creative and surprising tapas, as well as traditional paellas with an innovative touch, tasty stocks, crispy and thin, with a perfect “socarrat”. 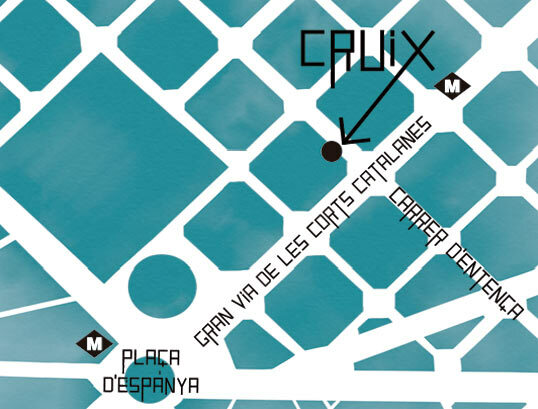 The mood of Cruix is young, bustling and dymanic right in the eixample of Barcelona next to plaza Espanya. We love what we do and we make it feel every day in our restaurant providing to everyone that visits us a gourmet experience for a very affordable price. Carlos Fernández and Miquel Pardo we met when studying in Bilbao, apart of developing a close friendship, we saw that we could fit very well managing a restaurant so we decided that one day we would open one together. After graduating in the hospitality school, each one followed his way, Carlos in the hospitality and Miquel cooking, both working in different places until five years later when we met in Barcelona and made our dream a reality. We like what we do, we love rice, sharing it and speaking about it, it makes part of our culture, we have to take care of it and respect it as it deserves. We have to maintain a high standard as Barcelona is the gate for all the tourism that wants to know our culture and the locals are very demanding with what they eat. Carlos Fernández was born in Valladolid in 1991; he graduates in hospitality in the Hospitality school of Artxanda in Bilbao. 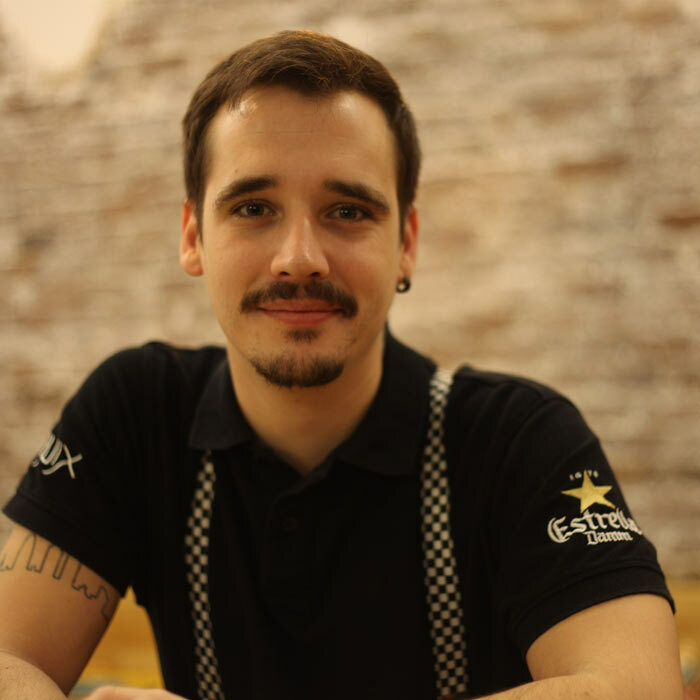 After graduating, he Works as a waiter in several restaurants as “Les Dryades” in France, or “El Bulevard” in Bilbao. He continues his studies specializing in sommelier and hotel management. He works as a receptionist in the hotel Edouard VI in Paris and as shift leader in the reception of the Eurostars Grand Marina 5*GL Barcelona. From September 2016 until September 2017 he works as a receptionist in the hotel Claris 5*GL in Barcelona. 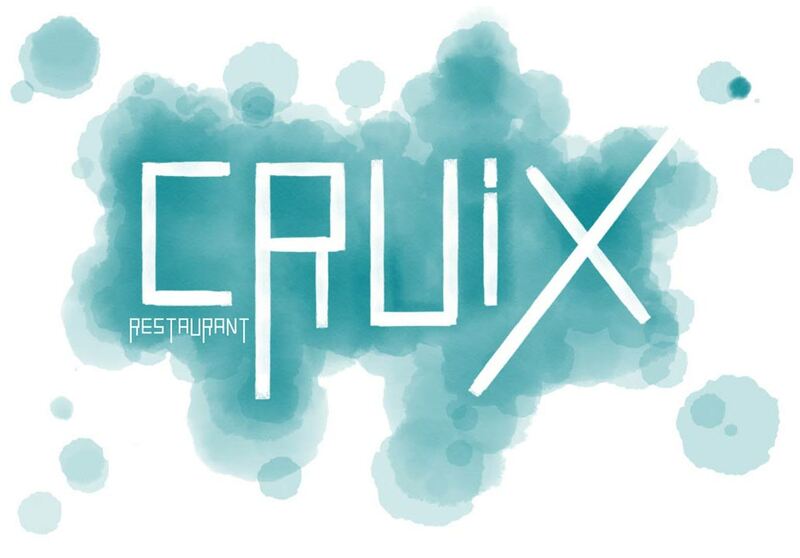 In November 2017 he decides to open the restaurant “Cruix” where he performs as maître. Miquel Pardo was born in 1989 in Onda (Castellón), since he was very young, he decides to study cuisine in the Hospitality and tourism school of “El Grao” in Castellón. 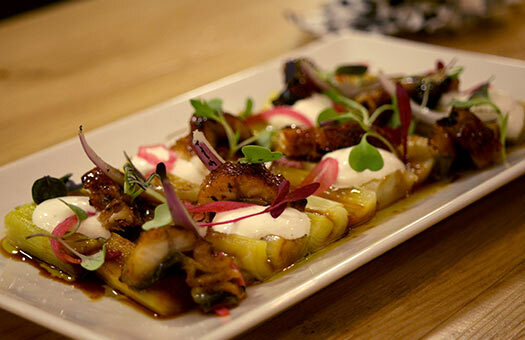 Then he continues his cuisine studies with a superior degree in the hospitality school of Galdakano (Bizkaia) in 2012. He starts his professional experience as a trainee in “La Sucursal” with Jorge Bretón, “Boroa” with Gartzia and in the restaurant “Abac” with Jordi Cruz. After learning with all those chefs, he Works in “Gresca” with Rafa Peña, “Canalla Bistro” with Ricard Camarena and “Heart Ibiza” with Albert Adrià. 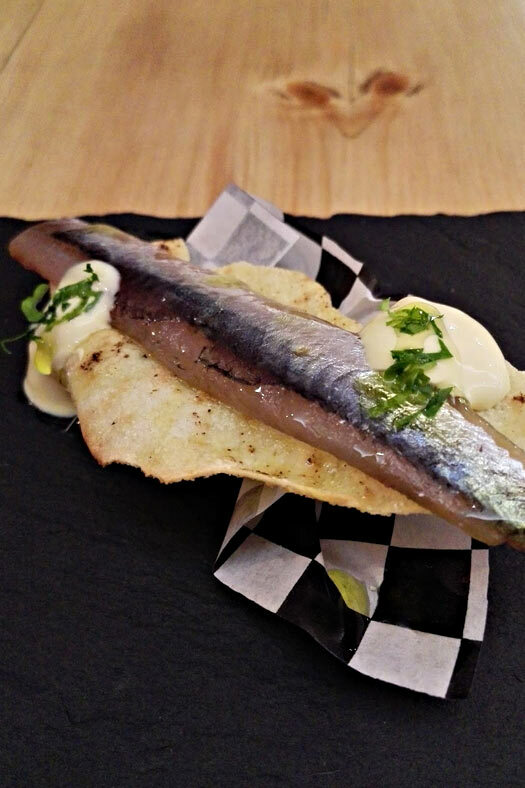 Then he participates in the opening of the restaurant “Dando Leña” with Tomás Guitxandut in Valencia. 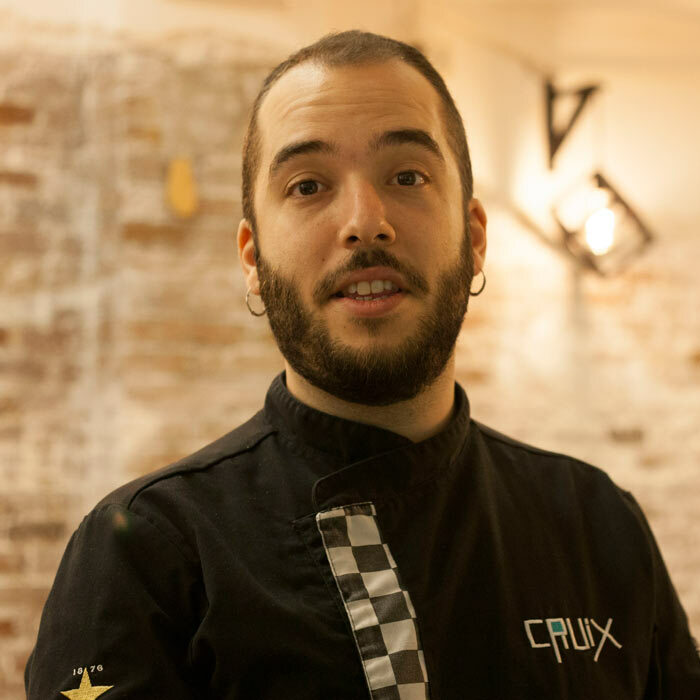 In November 2017 he decides to open the restaurant “Cruix” where he performs as Chef. "Amigos de Michelín, aquí también una pequeña visita se impone. Cruix es un potencial Big Gourmand como una “casa de pagès”!" "Deposito grandes esperanzas en Cruix. Hay algo ahí que explotará como un pastel con petardos." "Un ejercicio de ingeniería culinario-financiera en el que no falta la imaginación, la cuidada materia prima ni, por supuesto, el sabor." "Miquel Pardo, chef del restaurante CruiX, no ha querido que la paella sea un destino final sino un plato importante, y ha dispuesto un menú de degustación que es para sacarse el sombrero"
"Las técnicas de alta cocina del chef Miquel Pardo no hacen que el bolsillo se resienta."